All Georgies' deliveries are subject to change based on weather conditions. Salem and Seattle delivery routes may be rescheduled based on low demand or high demand for deliveries in other areas. Portland metro area: Monday, Tuesday & Friday of each week. Delivery charges to Portland and Salem areas: $40.00 up to 2,000 pounds. $60 for deliveries over 2,000 pounds. Delivery charge to the Eugene area (from Portland): $60. Fuel surcharges may apply on deliveries from Portland, depending on market factors. Bend area: We make deliveries from Portland to Bend on the last Friday of each month, weather permitting. For best results, please place your orders on or before the last Monday of each month. We can accept add-on and last-minute orders through the last Wednesday (2 days before the delivery date). Order weight or space allocations may be limited by the capacity of our delivery vehicle. 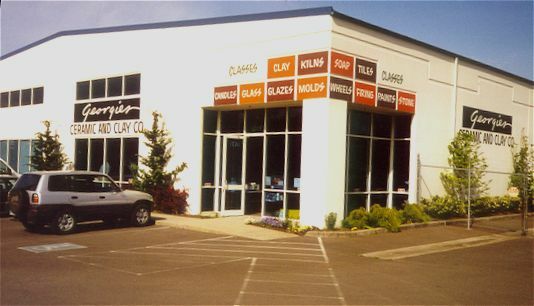 Ross delivers to a central location in Bend, and will be happy to help unload and move your order into your vehicle(s). Orders up to 500 pounds = $45.00 delivery charge. Orders 501 to 2000 pounds = $75.00 delivery charge. We know that many people can't receive deliveries during the week because of your own work schedules. Deliveries from Portland on Saturday or Sunday are possible with arrangements made in advance. We need at least 10 to 14 days lead time for weekend deliveries, please. We recommend driving west on 6th Street through downtown Eugene. West 6th Street crosses Chambers Road. Turn right onto Chambers. Watch for an immediate sharp right turn from Chambers onto Railroad Blvd. 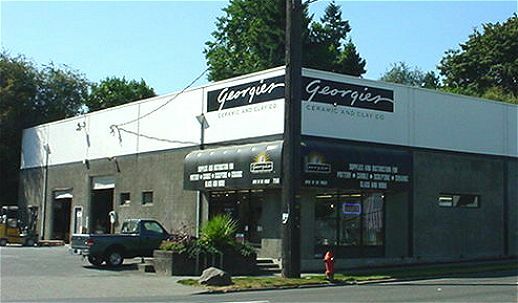 Look for the Georgies sign on your left as you make the long right turn.